Our 3SQN Honour Roll has been updated with further details about the fatal peacetime crash of Flying Officer Charles BLAMEY in 1932. He was the eldest son of the famous General Blamey. Also added new "Project 100" entries for WW2 aircrew who died after completing their tours with 3 Squadron: Dave ELLERTON and Archie FOWLER. There's a new essay in our Poetry Section about Rudyard Kipling and the "Missing" casualties of WW1. Added an interesting RAAF Nurse's Memoir about Casualty Air-Evacuation during WW2. Our article about WW1 3AFC pilot Cliff Peel (an important contributor to the founding of the Flying Doctor Service) has been updated with substantial new information. News: First Sod Turned in $1.5 Billion Fighter-Base Development. On the 6th of May, senior members of the military and the Minister for Defence launched a major building project for new facilities at Williamtown to house the Joint Strike Fighter (F-35A), the first of which is set to arrive in Australia in 2018. Added a new poem by Kevin Small, reflecting on the Squadron's first casualty of World War Two. 1939. Photos have been renewed in our popular 3SQN Malaysia history and our story of Mussolini's rescue from a mountaintop in 1943.
whose brilliant career in 3 Squadron was cut short by an aerobatics accident at Townsville in 1937. "Demon Down" and "Disastrous Demonstration"
A surreal 1943 POW tale of bad luck and "friendly fire": "The Four Funerals of Doc McLeod". "Commanding Officer DOWN!" - The loss of the brilliant Vance Drummond in a Mirage accident at Williamtown in 1967. And "Highest Mountain" - A tragic story of night-time navigation gone wrong for Mirage pilot Lloyd Smith, 1972. Several photographs and new entries for 1945 have been added to the WW2 Diary of Tommy Jones. Tommy was an Electrical Fitter with 3SQN in North Africa, Sicily and Italy. His diary gives a very interesting day-to-day view of the Squadron’s operations through the eyes of an ordinary ground-crew member and includes some details (such as weather conditions) that are scarce in other sources. Our amazing member who did all of the work to transcribe Tommy's Diary, Margaret Deacon, has also written (for the University of New England) an interesting article on Mateship in 3 Squadron during WW2. 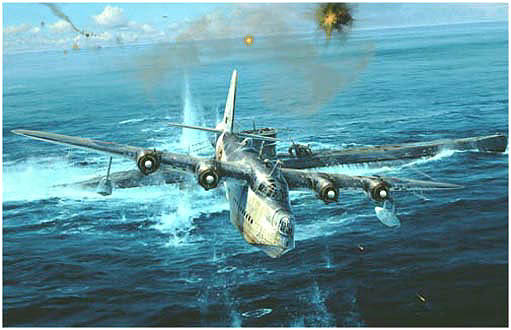 Our website’s page about the (largely unsung) RAAF war against the U-Boats in the North Atlantic in WW2 has attracted two outstanding updates from the Italian researcher Lorenzo Colombo. There is new information on Australians sinking the Italian submarine Sebastiano Veniero on June 7th 1942. Also Lorenzo has spotted a long-neglected RAAF success, on September 10th, 1941, against the Italian submarine Alessandro Malaspina by the Sunderland W3986, aircraft “U” of 10 Squadron RAAF, captained by Flt. Lt. Athol Wearne. This victory re-writes Australian official history - becoming the first Axis submarine sunk solely by the RAAF. The photos have been upgraded in our story of Ted Hankey's 1943 escape from under the noses of German ground forces after he had been shot down in Italy. A new photo, plus a newspaper report of his impressive Air Force funeral service, have been added to our tribute for Flying Officer Pitt, who died in a crash in 1926 while doing an aerial-photography survey of Canberra. 3 Squadron and the "Birth of Aviation" - an inspirational story from 100 years ago. And The Battle of Termoli. 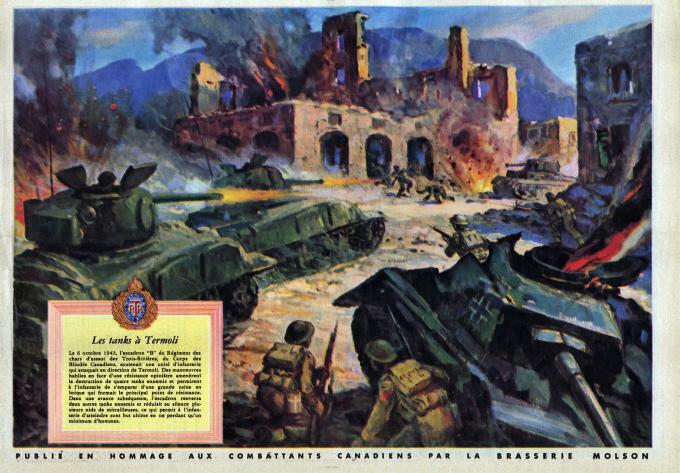 - Frantic action in Italy where 3SQN saved the day, October 1943. Graeme Kenderdine, an aviation professional from Hobart, has identified an interesting photo of the crashed 3SQN Hawker Demon A1-62 at Fountaindale south of Wollongong. This was the Squadron’s first fatality of WW2, in November 1939 (Pilot Officer Ohlmeyer) and the photo has now been added to his tribute page. And a new historical valediction to Vin Smith, the only 3 Squadron WW1 Casualty whose war grave is located on Australian soil. Some dashing new pics have been added to our profile of World War I pilot, Lee Smith. What's in a Number? The bizarre story of how 3AFC gained its final identity during WW1. "Tropical Weather" - Jake Newham's gripping tale of flying his Sabre into the unknown in 1958. The Butterworth RMAF Base will be transformed into a “leisure-oriented development” under a proposed joint-venture to recycle the site via a land-swap deal. The 407 hectares of land occupied by the base in Teluk Air Tawar would be transformed into a “city of arts and leisure.” (It’s about 8km from Butterworth town, directly opposite Penang Island.) The RMAF base will be relocated to a site soon to be identified. The land-swap means that the Government need not fund the cost of reconstructing the Air Force Base, and also secured it the opportunity to profit from the redevelopment of the land. Closure of the Butterworth Base is expected to take place sometime around the year 2019. We're sad to report that our Association's Victorian Branch President, former WW2 Mustang Pilot Jock McAulay, passed away on the eve of Anzac Day 2014. Jock's tribute is on our 'Lifetimes' page, along with another interesting tribute to WW2 veteran Leo Freeleagus. New to our 'Stories' page: "From 3 Squadron to Chief of Air Force!" - a profile of Air Marshal Geoff Brown, AO. And our 'Lifetimes' section now features a profile of the man who led 3 Squadron into the Jet Age in 1956, AVM Fred Barnes. Great News! 3 Squadron is expected to introduce the F35 strike fighter to RAAF operational service in the year 2020. Noel Barnes, an aviation artist from Bunbury WA, has done a lovely painting of a pair 3SQN Mirages flying out of Butterworth in the early 1980s. It has been posted on our ‘Images’ website page, along with details of how to purchase your own art-quality print. The Australian War Memorial has improved their website Search function to allow the public to view movies. The resolution of many of their online pictures has also been improved. and a 1942 poem by the comedian Eric Sykes: "Three Cheers for the Man on the Ground". A significant new WW1 book, all about 3AFC's "Nigel Love: Australian Aviation Pioneer" has been added to our 'Books' Page. There's now a great selection of 3SQN Memorabilia (caps, badges, patches, DVDs - plus the famous 'mil-spec' Stubby Holder...) available from the Queensland Branch of the Association. Wing Commander Barry Weymouth, the man who wrote our article "Flying the RAAF's Avon-Sabre" has passed away in Queensland, aged 87, after a long illness. The Fighter Squadrons community extends sincere condolences to his wife, Pat, and family. - Further biographical details have now been added at the end of Barry's Avon-Sabre article. have had their illustrations enhanced. We're sad to report the loss of Gordon Steege on 1 September 2013. Gordon was one of No.3 Squadron's great 'Gladiator aces' in the the Egyptian Western Desert early in WW2. His many-faceted story now features in our 'Lifetimes' section. - The surprising tale of 3SQN’s Earliest WW2 Fatality… REVEALED AFTER 73 YEARS! - An article capturing the truly historic moment when 3SQN became the first Allied Squadron to operate from the Italian Mainland. "3 Squadron Invades Italy"
- And a 1971 Sabre Story that re-defines 'close shave': "Pietschy's High-Wire Spectacular". Our Air Vice Marshal Wrigley interview has had its illustrations enhanced. Wrigley played a central role in 3SQN's history in both World Wars and was also an Australian aviation record-breaker. The illustrations of distinguished pilots on our 'Dogfighters' page have recently been upgraded. A major addition to our 'Stories' section is "Jack's War" (10Mb PDF), the fascinating 3-Book diary of Jack Lusby, a Kittyhawk pilot who was posted to North Africa to join 3 Squadron in 1942. It's a wonderful primary record of those times, enhanced with historical notes by his daughter Maria Simms. The collection of illustrations is also quite outstanding. - Jack was a newspaper cartoonist in civilian life and his artwork graces several pages. Frustratingly for Jack though, he subsequently became one of the ‘Lost Tribe’ of 3SQN replacements who arrived in the Middle East in excess to the Squadron’s requirements. While Jack closely followed the Squadron's operations for several months (even making it across the desert to the 1942 Xmas celebrations at Marble Arch landing ground) he never got the chance to fly the Kittyhawk operationally. He was allocated to other training units and combat squadrons (each revealing their own interesting tales) and he eventually returned to Australia to become a distinguished test pilot. By the end of the war, the deaths of many of Jack's friends, both in the front-lines and as test-pilots pushing the limits of aviation technology, started to bear heavily on him. - These are the most poignant pages of the diary. Jack's diary also highlights the fates of other members of 3SQN's ‘Lost Tribe’ - such as Bob Wardrobe and Dave Shearman, who tragically died in Africa before ever getting their promised time with No.3. Photo coverage of Anzac Day 2013 and our Malta Pilgrimage on our 'Events' page. Another thrilling WW1 story: 3 Squadron and the 'Black Day' of the German Army. Sacrifice in the Survey of Canberra (1926); Fatal 3SQN Crash during the Opening of Parliament House (1926); and Tragedy beside Richmond RAAF Base (1929). A gripping dogfight story dating from just after the fall of Tripoli in 1943: "Major Müncheberg's Two Kills". And a story about the day that 3 Squadron added a 3,000-tonne German Destroyer to its list of shipping victories: "Barry Finch's Trip to the Seaside"
Gordon White, a Tomahawk and Kittyhawk pilot with 3 Squadron in 1941/42, who later died in action as a 78SQN Flight Commander in New Guinea in 1944, has been added to our WW2 Honour Roll. Gordon White at Hollandia, Dutch New Guinea, probably in his usual Kittyhawk A29-570 "Stormy Weather". Some recent additions to our revamped 'Poems and Songs' page: High Flight; Anzac Day; Stalag 3 Poem; and The Ground-Strafer's Version of 'Lili Marlene'. Our 'Books' page has had 'Serge' Tucker's supersonic and hilarious jet-age autobiography, "Fighter Pilot", added to the 'recommended' list. WW1 and WW2 Campaign maps have been included on our 'Historical Dates' page and our 'Research' page now includes the full guide to 3SQN material held by the Australian War Memorial. and "The Third Brother: The Royal Australian Air Force 1921-39". These are two of the many free RAAF-themed books available from the Airpower Development Centre. Also a free download the official WW1 history of the Australian Flying Corps (by Cutlack) has been linked. Some attractive colour profiles have been added showing the aircraft from the day that Alan Righetti shot down Günther Mielenz, 30 December 1942. A new historical essay in our 'Stories' section commemorates the 70th Anniversary of the Pivotal Battle of El Alamein. Our 'Dogfighters' entry on 3SQN WW2 ace pilot John Jackson has been expanded to include the controversial story of his death in combat in Papua. with new ordering details, a range of searchable samples from the diary, and new photos. There is an update to the story on the intact 260 Sqn (RAF) Kittyhawk from 1942, found recently in the Egyptian desert. The remains of its pilot, F/Sgt Dennis Copping of the RAF, have now been located a few kilometres from the crash site. A great new addition to our 'Links' page is the Air Force's F-35 Lightning II project page. - No.3 Squadron will be the first RAAF squadron to introduce this advanced aircraft to operational service. "Mirage Fun" - A new selection of Bill Chambers' hilarious cartoons from the days when the Squadron operated Mirages from Butterworth. and Eric Canning's POW Escape story has had some further biography information added. Our Family History Research page has had a useful link added to the Imperial War Museum London online collection. Also our Australian War Memorial Online Search Guide has been updated with instructions on how to list the Medals awarded to 3 Squadron personnel in both World Wars. Low-Level Raid on Magrun. Alan Righetti's daredevil story of the day he "copped some flak" in November 1942. "Are You Dinky Di?" - A humorous look at what our Australian Citizenship Test is really asking. Australia's First Air Combat - A dashing tale from the dawn of aviation, featuring (rather surprisingly) Lawrence Wackett, an important figure in 3 Squadron history for nearly half a century. Milne Bay 1942 - The RAAF's "Forgotten Finest Hour"
Many 3 Squadron veterans who returned from the Middle East were then thrown into the desperate fight against Japan. They contributed greatly to our first, pivotal, land-victory, at remote Milne Bay in Papua.